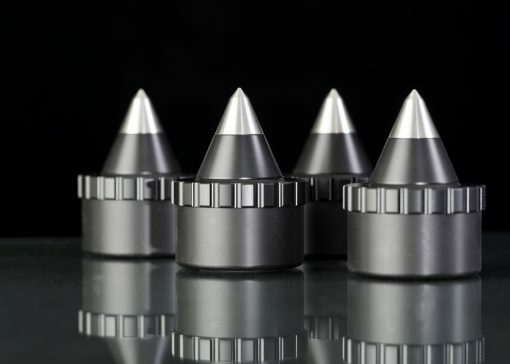 Gryphon Atlas Spikes are assembled from carefully selected parts made of Polyoxymethylene (POM), aluminium and tempered steel. 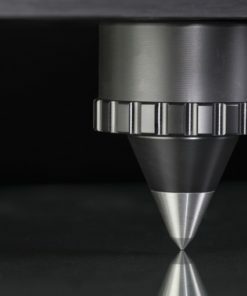 Extensive listening tests confirm that the mechanical characteristics of this specific combination of materials make it an ideal, one-way conduit for resonances. 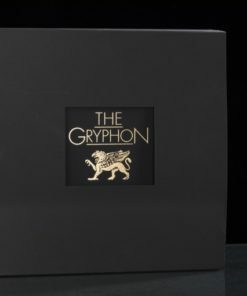 Recommended to use in conjunction with vibration-sensitive tube amplification, motor-driven components such as turntables and disc players and amplifiers with extensive internal wiring, Gryphon Atlas eliminates the adverse effects of vibration, resonance and microphonics, to take your audio system that crucial step closer to ultimate neutrality and transparency. 1. Absorption/dispersion, using padded contact areas, springs, viscous damping, soft, rubbery feet, etc., to convert resonances to heat. 2. Mechanical earthing, using spikes or cones to divert resonances away from vibration-sensitive components (speakers, disc player, DAC, amplifier, turntable, cable/satellite TV box, etc.) where they could do audible harm. Unfortunately, many accessories in the first category, while claiming to provide vibration isolation, typically offer a largely random combination of coupling and decoupling of the audio component to the underlying surface. Because of the different resonant frequencies of the materials employed, they will have highly variable impact on energy transfer and, consequently, exert unpredictable influence on musical performance. 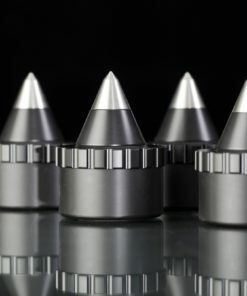 Gryphon Atlas Spikes are assembled from carefully selected parts made of Polyoxymethylene (POM), aluminium and tempered steel. 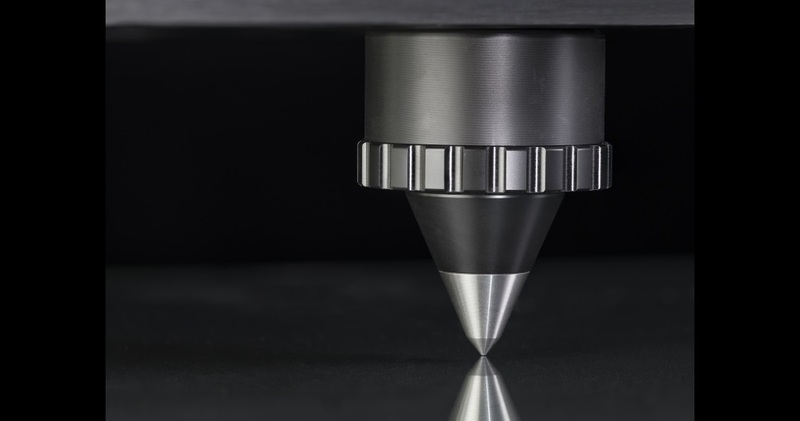 Extensive listening tests confirm that the mechanical characteristics of this specific combination of materials make it an ideal, one-way conduit for resonances. 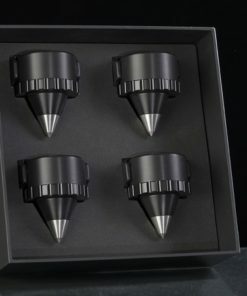 Gryphon research established that the size, shape and material of spikes can have significant influence on sound quality. Some materials can actually store some of the energy that they are intended to evacuate. Gryphon Atlas spikes create a uni-directional evacuation path between the equipment and the outside world, acting as mechanical diodes, conducting energy in one direction only and effectively blocking it the other way. These no-nonsense accessories, based on real science, include M4 screw threads for easy mounting under loudspeakers and adhesive pads for carefully balanced placement under audio components, regardless of total weight. 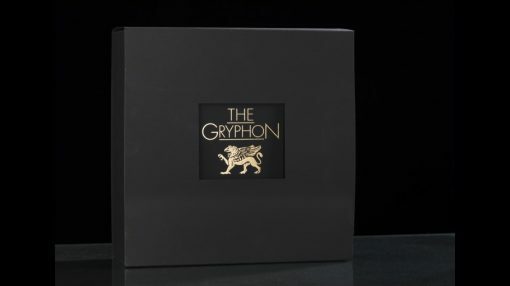 The height of each Gryphon Atlas can be fine-tuned and experimentation with positioning directly under transformers or motors will reveal the optimum set-up, with across the board sonic improvements in such critical areas as bass firmness, soundstage focus and overall clarity and openness. Isolation with Gryphon Atlas spikes will be most effective with lighter weight components or components with moving parts inside. Ultra-heavy products with internal damping and decoupling, such as Gryphon amplifiers, will likely not benefit, unless the floor or shelf is very lively due to vibration. 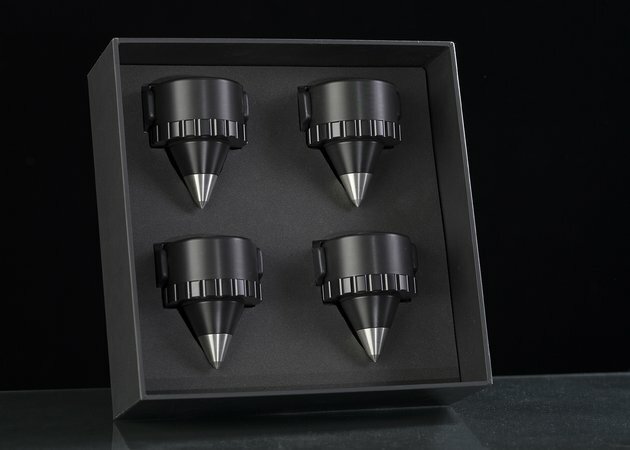 We highly recommend the use of Gryphon Atlas spikes especially in conjunction with vibration-sensitive tube amplification, motor-driven components such as turntables and disc players and amplifiers with extensive internal wiring. By providing a minimal, single point of contact, Gryphon Atlas eliminates the adverse effects of vibration, resonance and microphonics, to take your audio system that crucial step closer to ultimate neutrality and transparency.